Visual learner? No problem! Check out our video review and unboxing below! 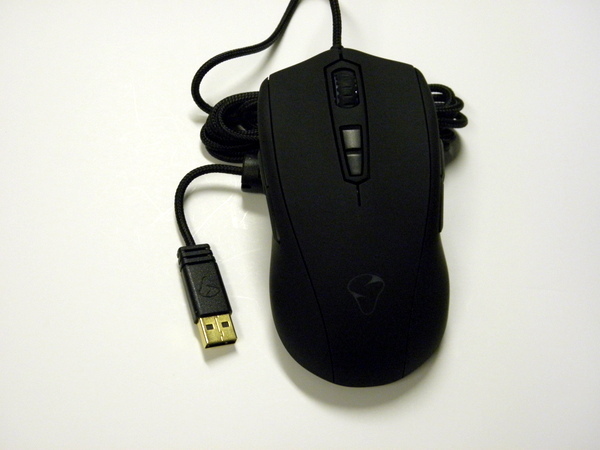 Mionix’s AVIOR 7000 gaming mouse is the budget friendly version of the AVIOR 8200. The AVIOR 7000 sports the same ambidextrous design as its more powerful big brother at the cost of a slower internal processor and an IR-LED optical sensor only capable of tracking up to 7000 DPI. However, the AVIOR 7000 can be purchased for $10.00 cheaper at $79.99 MSRP. 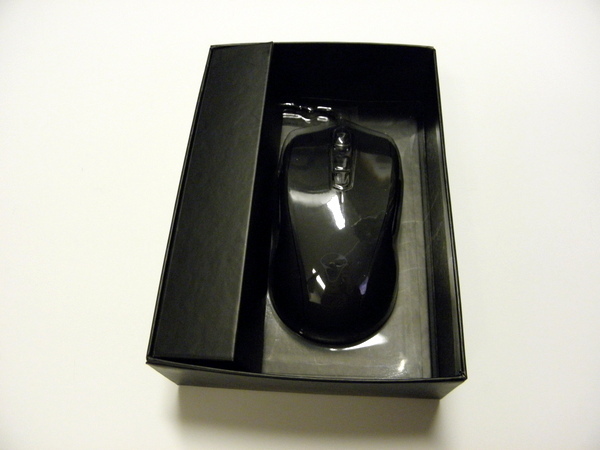 Mionix takes the no frills route when packaging their mice. The boxes are small and the contents are Spartan. The box slides out of a stiff cardboard sleeve to reveal the mouse behind a clear shell and the USB cable tucked neatly away. The only other thing in the box is a sticker bearing the Mionix logo and quick start guide. The mouse itself is coated in powder coat with a slight rubbery texture. It is possibly one of the most addictive finishes on a mouse. 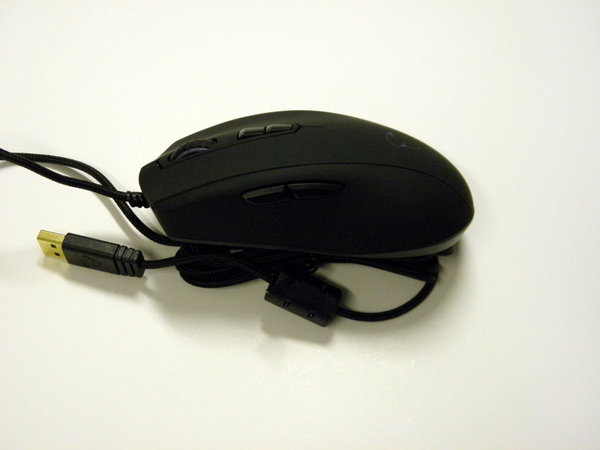 It feels velvety soft with just enough of a rubbery texture to keep a good grip on the mouse. There are two areas that are lit by LEDs which are capable glowing of 16.8 million different colours, the mouse wheel and the logo. The light is rather subdued in the logo area and a little brighter in the mouse wheel. There is only one light intensity setting, though the LED can display a solid, blinking, pulsating, or breathing effect. 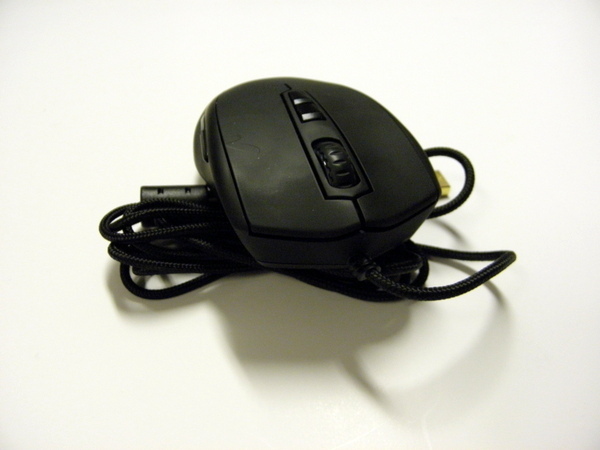 As the mouse is designed to be ambidextrous, there are two buttons on either side of the mouse that can be manipulated with the thumb and little finger. They are positioned at a good angle are very easy to press even with the weak little finger. Personally I prefer the AVIOR’s ambidextrous design over the NAOS’ right handed design due to fact it provides two extra keys to macro on the mouse. 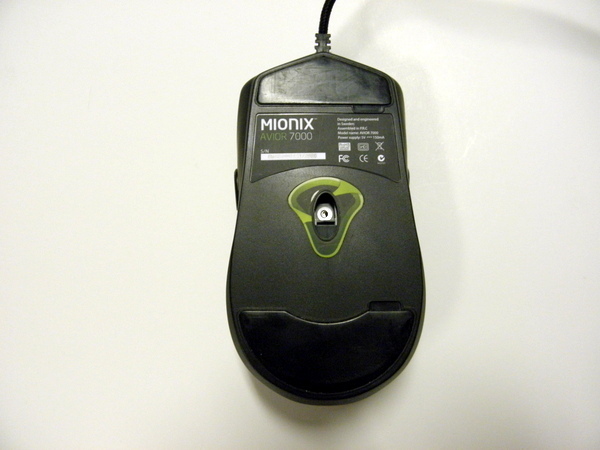 The top of the mouse contains the traditional left, middle, and right clicks along with two buttons located below the mouse wheel. The mouse buttons are made from Omron mechanical switches, considered to be one of the best switches for mice on the market. The Omron switches give the left and right mouse buttons a nice crisp click and should last for 20 million presses. The mouse wheel has a nice feel, with a more rubbery coating compared to the rest of the mouse body. The two way wheel spins at the right balance of resistance and ease of movement. The middle click is also crisp, with no mushiness. The AVIOR 7000 is a wired mouse and contains six feet of braided USB cable that terminates in a gold plated USB 2.0 plug. Six feet is plenty of room to reach behind most computer cases. I personally am a big fan of braided cables as I find they are less prone to tangling and snagging around other USB cables. On the bottom of the mouse are two gigantic PTFE, also known as Teflon, mouse feet. The large surface area ensures a smooth glide across the mouse pad. The physical body of the mouse is full of curves. The mouse rides low to the table like a sleek sports car. The body is thin near the table and flares upwards. I have a small bone structure, so I find many mice on the market to be way a bit too wide for my comfort. I found the AVIOR 7000 to be one of the most comfortable mice I have tried in this regard. The length of the mouse is a bit long at roughly 12.5cm and may prove troublesome for some claw and other fingertip focused mouse grip styles. I found the AVIOR 7000 to be incredibly comfortable as a palm grip user. Because of my small stature, I find many mice on the market to be way too wide to be comfortable. Driving the mouse is a 32bit ARM processor running at 32mhz. An ADNS 2210 Gaming Grade IR-LED optical sensor capable of reading up to 7000 dpi handles the actual tracking duties. The mouse itself can store up five profiles on the 128kb of built in memory. 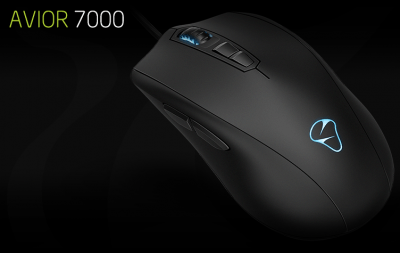 Like the NAOS 8200, the AVIOR 7000 runs well as a plug and play mouse. However, the Mionix software suite adds the very important macro editing function. I find it a bit curious that the drivers are not under a unified structure. Instead an owner has to find the specific software suit for their model of mouse. The software suit itself is a full featured program. There, owners can record new macros, adjust sensor performance, tweak LED colours, and bind functions to the mouse. The layout is simple to use and macro recording is dead easy to do. The program comes with a Surface Quality Analyzer Tool that will help figure out if the mouse may encounter tracking issue because of a difficult to track surface like wood or glass. The software allows for an incredible level of fine control. The AVIOR 7000’s sensor can be programmed with separate sensitivity settings for the X and Y axis, and the angle can be adjusted for those who tend to hold their mouse at an angle. The distance the mouse will track while it is lifted off the ground can be tweaked for low sensitivity gamers. I am disappointed by the fact the software can only scroll through three different DPI settings. As a Battlefield 4 player, I tend to keep at least four to five different sensitivity settings depending on the vehicle I am using. The biggest weakness with the AVIOR 7000 is its software suite’s stability. Sometimes tweaking the mouse’s sensor causes the computer to stop detecting the mouse. It required me to replug the mouse into the computer, forcibly terminate the program through the task manager, and restart the software before the mouse and software would work normally. I found changing the sensitivity too many times in a short period also caused the computer to stop detecting the mouse. I was stuck reaching behind my tower to replug the mouse in the middle of a few Battlefield 4 matches because of this bug. Now, it is important to note that this review was done with a pre-release unit. It is possible that these firmware bugs will be ironed out by the time the mouse officially goes on sale. 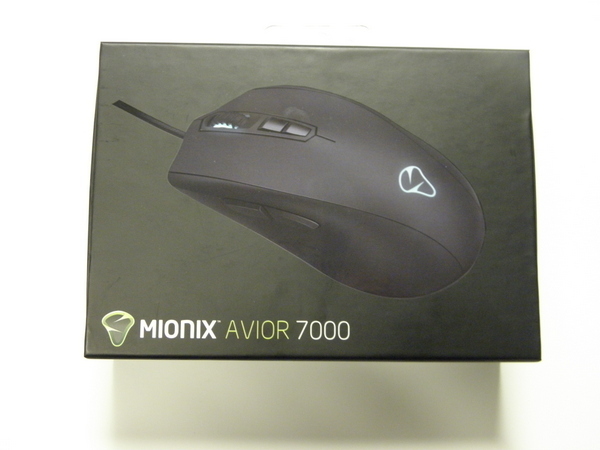 The Mionix AVIOR 7000 is a very comfortable mouse with a great feature set. Priced at $79.99, I personally think it is a better buy than the 8200 series of mice. The difference is almost negligible unless you are an extremely high sensitivity gamer who will actually use levels beyond 7000 dpi. As soon as the serious bugs are ironed out in the software suite, the AVIOR 7000 will be one of the better deals for a high end gaming mice.